Orange is DEFINITELY in this holiday season! We caught our first look at Jason Momoa rocking the orange and green last month, but Aquaman’s classic suit is front and center in the two newest posters released from the upcoming film. Arthur Curry’s pastel-colored costume dates back to the 1940s, and the character has abandoned it at times over the years—notably during much of Peter David’s ’90s-era run on the series, where he lost his shirt and gained a harpoon. But for most fans, orange and green go with Aquaman just as readily as Superman’s associated with blue and red and Batman’s tied to…well, just about every shade of black and grey out there. 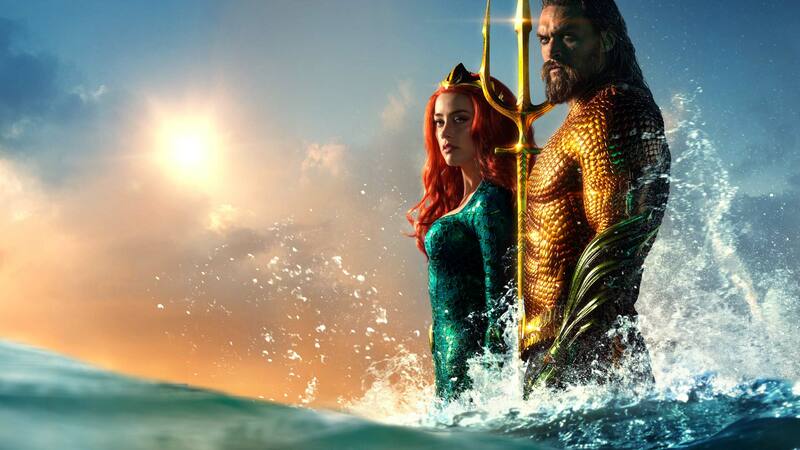 One of the newly released posters is a solo shot that’s reminiscent of the final shot of the movie’s extended trailer, while the other shows Arthur and Mera side-by-side, standing in the surf and sun. Check them out below, and let us know how you feel about Jason Momoa in the suit below in the comments. Aquaman, aquaman posters, jason momoa, jason momoa aquaman, amber heard, amber heard mera, mera, james wan, james wan aquaman, aquaman movie, classic suit, aquaman classic suit, aquaman orange suit, dc films, dc movies, dceu, warner bros.